Our Family – who we are! We’re a congregation of nearly 400 members who enjoy worship together in our beautiful, light-filled sanctuary. Youth members of our congregation have participated in worship as cantors, musicians, and acolytes. 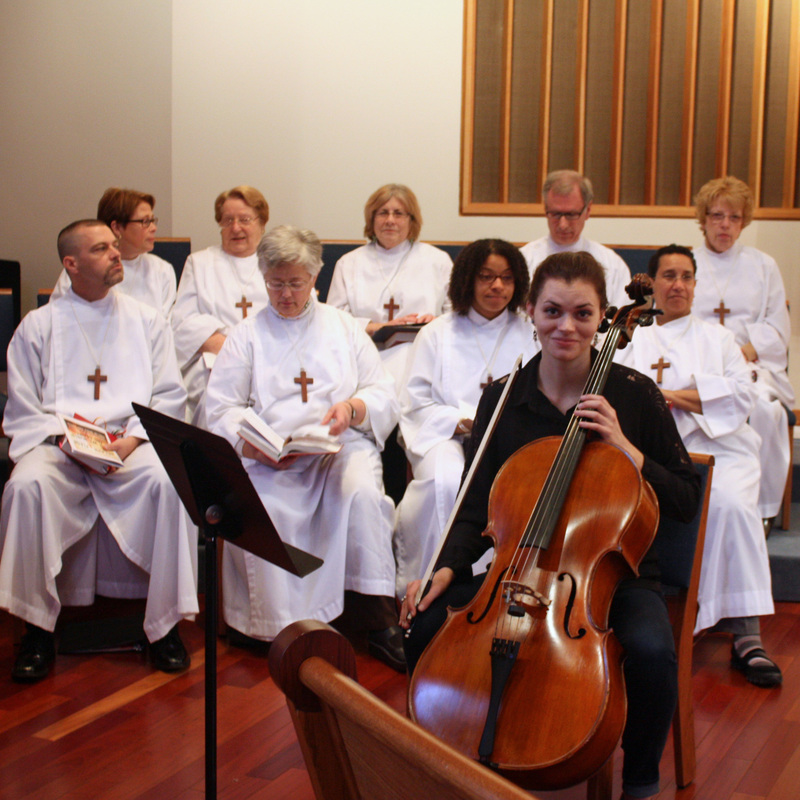 Our chancel choir and musicians add greatly to the worship experience, and we joyfully celebrate baptisms and “new member Sundays” with receptions in the fellowship hall. We have many opportunities for three generations of the same family to come together for worship, learning, fellowship, and service. Sunday school classes for children and the Adult Forum are offered at 9:00am from September until June. A Wednesday morning Bible Study led by the Pastor offers a preview and discussion of lessons that will be a part of the coming Sunday worship service. Learning opportunities for all ages combined with a congregational meal or pot luck dinner add to our educational focus throughout the year. Fellowship opportunities are numerous and take place both in the fellowship hall and in the community. The St. Luke Men’s group meets monthly for dinner and a program with occasional lunchs at a neighborhood restaurant. The St. Luke Women’s Group offers both evening and daytime meetings with guest speakers, crafts, service projects, and occasional excursions to places of interest. 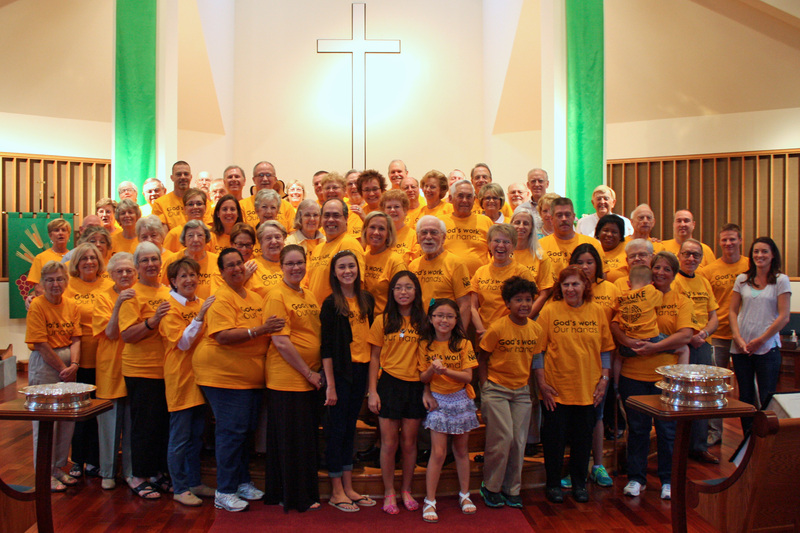 St. Luke members generously support service projects and social ministry activities as part of outreach to the larger community. Whether working as pairs delivering Meals on Wheels or teaming up to collect canned food items, school supplies, or household items for those in need, St. Luke members continue to say “yes we can” to any giving goal set for us! Two yearly projects that St. Luke members generously support are our Lenten challenge and our Rise Against Hunger packaged meals challenge. Money raised during our annual Lenten season has gone to buy malaria nets and water purification systems, to build latrines, and to increase the bee population. During the summer months we raise the funds needed to purchase the nutritional components for Rise Against Hunger. The packaged meals are then assembled, sealed, and shipped by the thousands, on God’s Work – Our Hands weekend in early September. If you would like further information about St. Luke, please use the form below to contact us and tell us what you would like to know about us.